Starting from the next section, we will learn and practice importing external data files. 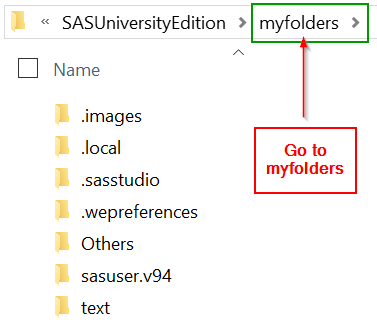 Unfortunately, SAS Studio allows access to only the files in a shared folder. If you haven't created and enabled a shared folder, please do so now. ​See instruction on how to set up the shared folder on your virtual machine. 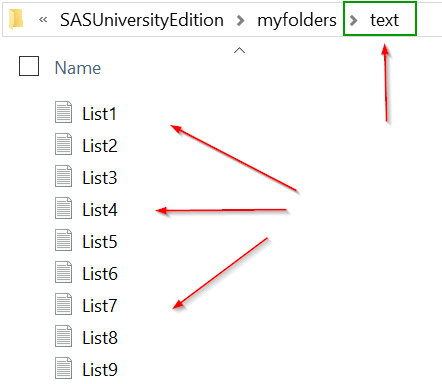 For your convenience, you can set up the same folder in your directory path. 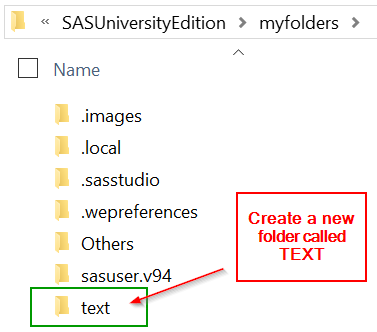 The TEXT folder will be the folder that contains all of the external data files. You will be provided with the data files later in this module.